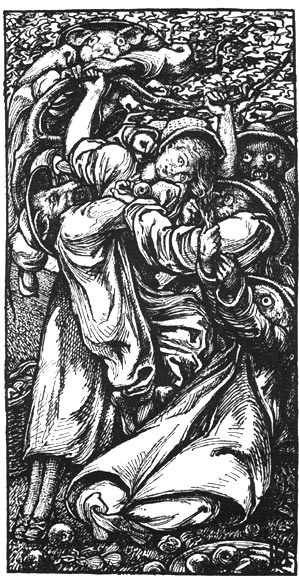 Goblin Market is a remarkable poem by Christina Rossetti. I love this video version because of its pace, images and soundtrack. The words are here. Christina Rossetti was a volunteer worker for over ten years at a refuge for former prostitutes (St Mary Magdalene “house of charity” in Highgate, London), and this experience pulses through the poem. Rossetti is also well known for writing the words of the Christmas carol, In the bleak Midwinter, (here sung by Alison Crowe). The carol ends with the question “what can I give him, poor as I am?” This is a profound and everyday question. What can we give when we think we have nothing to give? Gift shops have ideas with price tags for those not so poor. Their buyers may wonder what they can get away with. The receivers of such gifts may pass them on to others as something unwanted. What they wanted was something of themselves. Something that comes from the heart: something that is wholehearted. What can I give him, poor as I am? If I were a shepherd, I would bring a lamb; If I were a wise man, I would play my part; Yet what I can, I give him: give my heart. For posing the question and for her wholehearted responses – we give thanks today, a feast day for Christina Rossetti. The image is Come Buy, a wood engraving by Laurence Housman (1892) scanned by George Landow. Posted in poetry.Tagged Allison Crowe, Christina Rossetti, gifts, giving, Uncategorized. We will not offer to God things that cost us nothing. Previous Post So, what about truth?